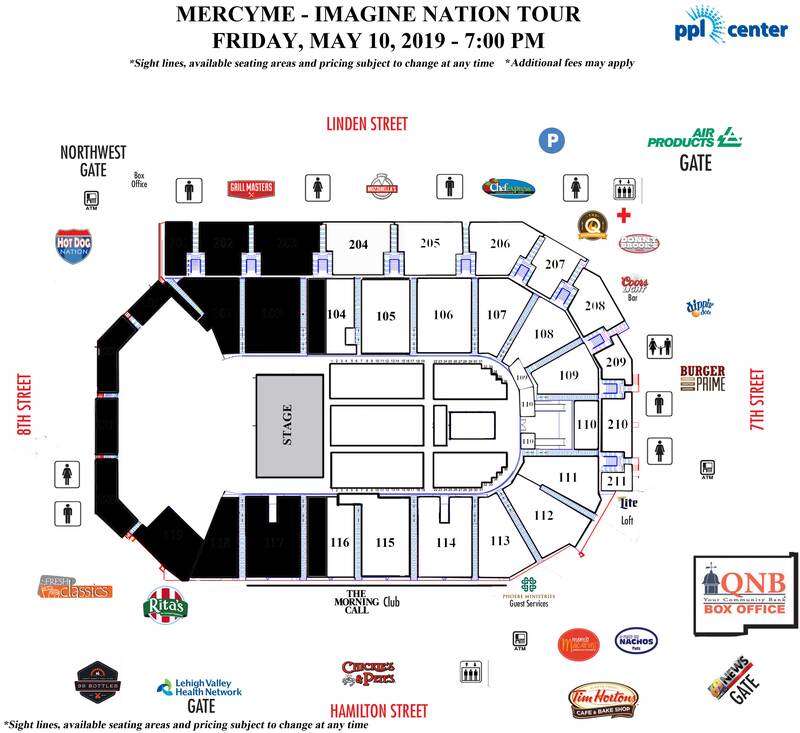 MercyMe’s 2019 “Imagine Nation Tour” will find the group traversing 30+ cities nationwide, including a stop inside Allentown’s PPL Center on Friday, May 10, alongside fellow GRAMMY® nominee Crowder and multiple GMA Dove Award nominee Micah Tyler. Los Angeles, Portland, Orlando, Baltimore and more are also on lineup for the three month long stretch taking place between March 7 and May 11 of next year. Tickets for the Allentown date will go on sale to the general public starting Friday, October 5 at 10:00 a.m. at the QNB Box Office, PPLCenter.com, or charge by phone at 610-347-TIXX. Now up for a People’s Choice Award, I CAN ONLY IMAGINE, is the box office shattering film inspired by frontman Bart Millard’s real-life story behind the beloved MercyMe song. “Best News Ever” will mark the newest single to impact radio on Oct. 5. The song is found on their GRAMMY® nominated release LIFER and is the follow-up to "Grace Got You" which spent seven weeks atop Billboard's AC Monitored Chart. The 2018 leg of the MercyMe-helmed tour will hit 20 markets this fall with Tenth Avenue North. For the latest information, stay tuned to www.MercyMe.org.